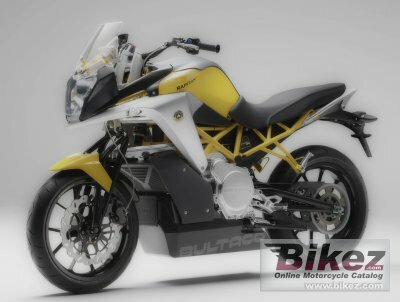 2016 Bultaco Rapitan. Picture credits - Bultaco. Submit more pictures. Its futuristic drive system develops astonishing acceleration and maximizes range by recovering and accumulating more braking energy than any other electric bike known. �Hyperconnected� with both the rider and the environment, Rapit�n leads the two-wheeled ride to a hitherto unknown dimension. Comments: Bultaco Li-Ion type ESS ttery with integrated BMS. Range 200 km. 1 hour fast charge, or 3-5 hour normal. Ask questions Join the 16 Bultaco Rapitan discussion group or the general Bultaco discussion group. Bikez has reestablished Bikez.info motorcycle web shop overview. Here we present the major online shopping possibilities for motorcycle parts, gear and accessories. This includes customizing and insurance. Search and compare products and prices. Try our 2016 Bultaco Rapitan discussion forum if you have questions or comments. Information about any technical issue is always welcome.